All of the engineers at ADI are trained and equipped to be able to track down even the most troublesome of leaks both above and below ground. We have equipment that can see through walls to find leaks and that can also listen through several feet of earth to the find the source of one. 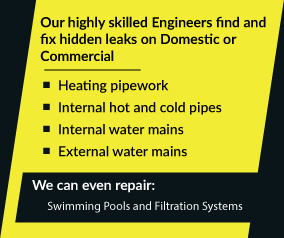 We offer exceptionally good value for money for the very high standard of service that we offer our customers. ADI can help customers who are located anywhere in the UK too however. 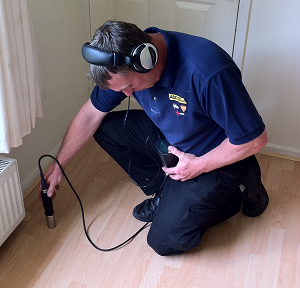 Call 08007313843 now to get help from the leading leak detection specialists in the UK.